Sorry for the weak pun in the title, guys (I’m not really sorry). 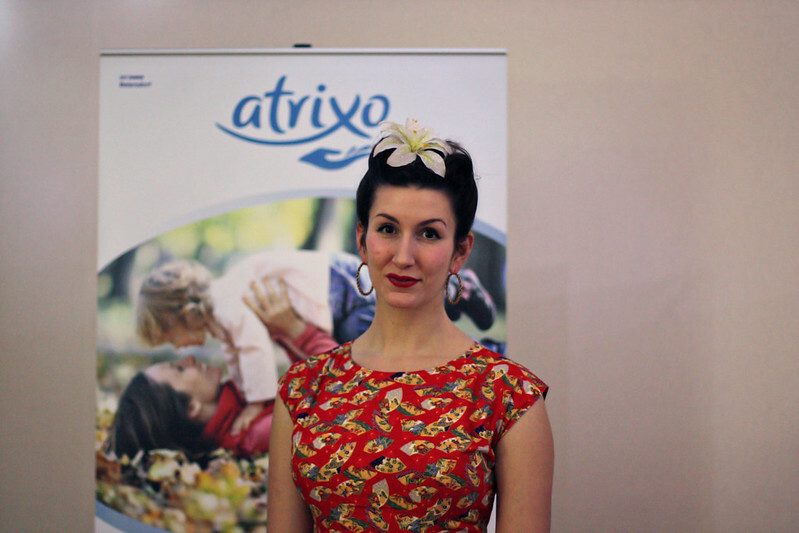 Last week, I was privileged enough to be invited to a lovely event held by Atrixo. Tubs of this distinctive yellow and green handcream have been around since the dawn of time, by which I mean ever since I can remember looking at skincare products in Boots. Turns out, it’s actually a wonderfully vintage brand, having been around for more than 50 years! But it’s not one I had ever tried before. What is it? Well, Atrixo, as we know it today, was launched in 1955 in Germany. Except they called (and still call) it atrix (seemingly always with a small ‘a’). The brand was actually around since as early as 1906, the name registered as a trademark by Oscar Troplowitz, the then owner of Beiersdorf (who also own Nivea), who created a range of shaving products in 1908, depilatories in 1927 and lipsticks between 1949-1953 – all under the atrix name. But 1955 saw atrix take the form it is now. Beiersdorf created a completely new type of glycerine hand cream, unlike their other big brand Nivea, which was a simple oil and water emulsion moisturiser. The atrix cream was designed as a hand protectant, rather than simply an emollient to be used anywhere on the body, a la Nivea. And it was hugely successful, mostly due to an extremely effective advertising campaign:”atrix – the invisible glove” was the slogan for many years. Fast-forward to today, and Atrixo is a rather delightful, budget-priced hand cream with genuine vintage provenance. 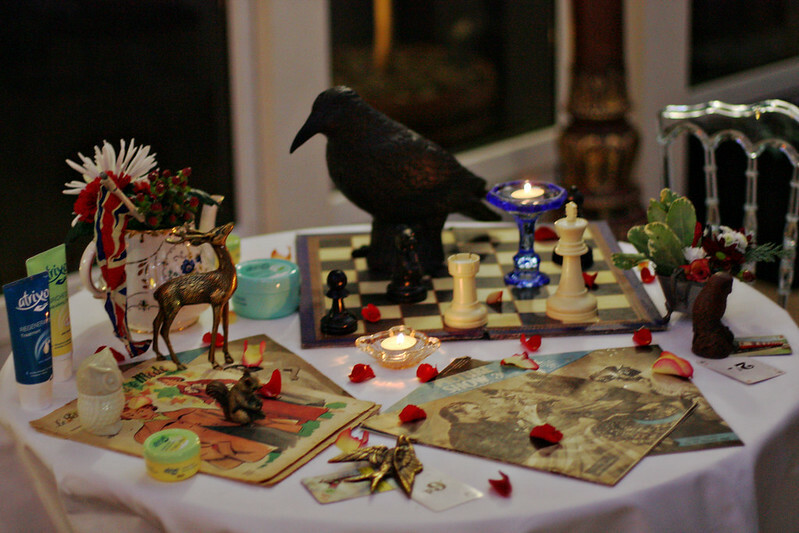 The event itself had a theme to match the brand, taking place at snazzy Home House with Vintage Patisserie on hand with their quirky props setting the scene. Lisa the Snoodlebug and I had a lovely time. 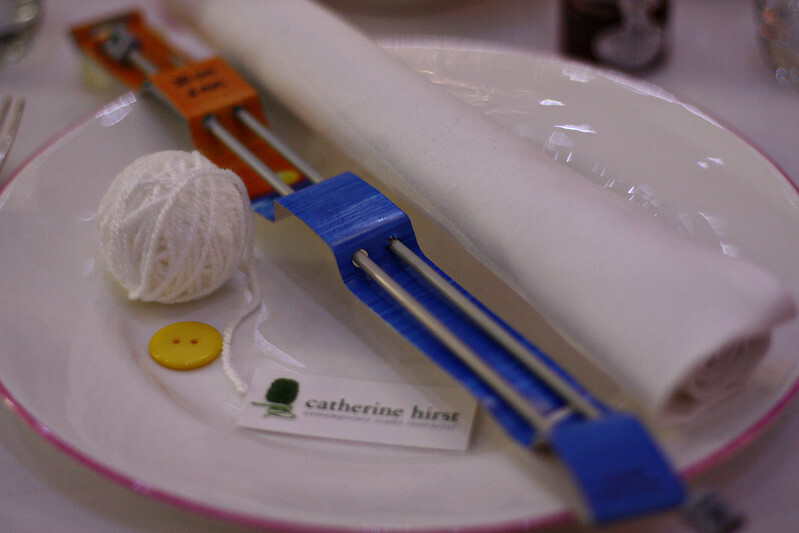 We were all served a delicious afternoon tea and given a short knitting tutorial by the adorable Catherine Hirst, with the aim of creating a camomile flower (regular Atrixo having camomile in it). I was rubbish, if anyone saw my picture on Instagram, you’ll see just how confusing I found it all! No pictures of the flower itself – I didn’t even get close to finishing it and have since been using it as practice… think I am now getting hooked on knitting however, so watch this space! The beautiful ladies of Vintage Patisserie did mini retro hair and makeup sessions for those ladies who wanted to dabble in wartime chic (I had done my hair already, of course). And they were a treat for the eyes themselves, as always. The gorgeous gals include Minnie Moons in the middle and Miss Turnstiles on the right! 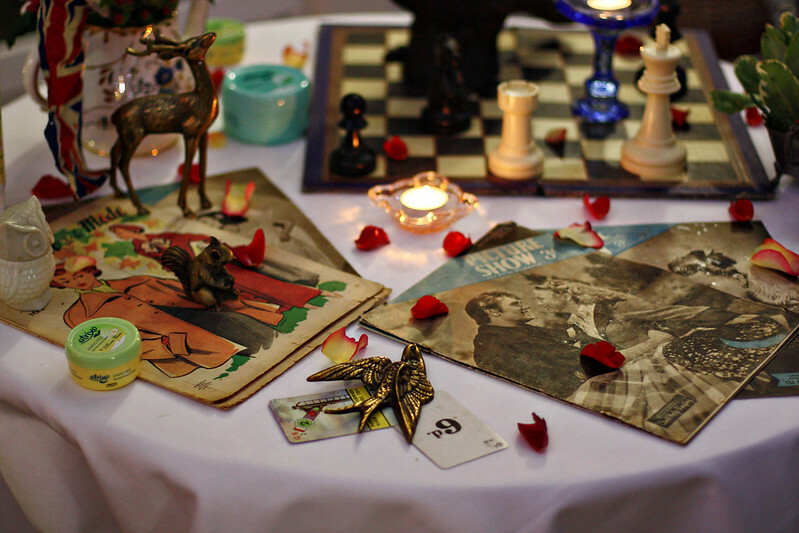 (I must learn how to make these pictures less ‘noisy’/grainy). The goodie bag was a wonder, with every kind of Atrixo cream in it, so I shall keep you posted on how I get on with it. My hands are generally a disaster, and I never usually use hand cream. After a full weekend of applying the Regenerating Cream, my battered, hang-naily hands are improved by approximately 457%, so I give it two well-moisturised thumbs up so far. I also got this frankly bloody amazing little cake! So thank you Atrixo for introducing me to your effective, purse-friendly and thoroughly vintage products. And at around three quid a tub, I encourage you all to try it next time you need a hand cream top-up. That looks like it was fun. 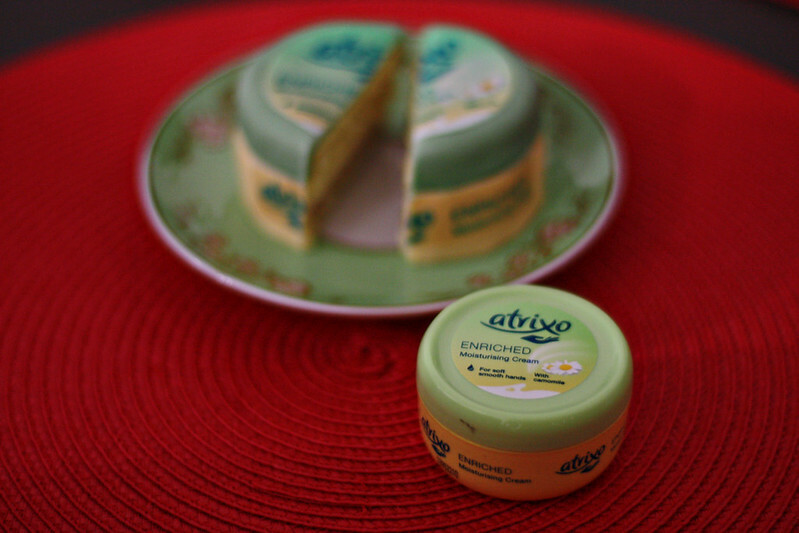 Atrixo is really good, my nan swears by it & has used it ever since it came out in this country. Her hands aren't the hands of a 77 yr old woman. She always used Astral for her face & her skin is so soft & only very fine wrinkles. It seems like the vintage brands are as good as any of the new ones & in a lot of cases much better. 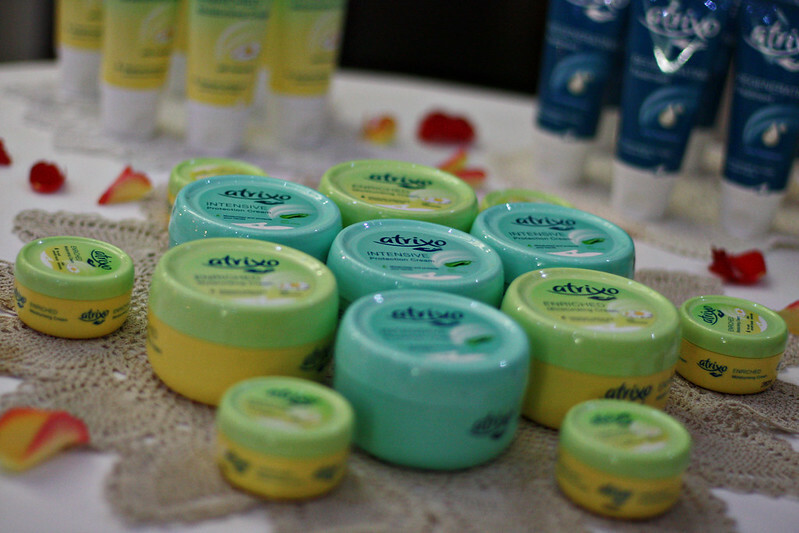 Until now, I had the impression (from where I don't know) that Atrixo was like Astral cream; heavy and greasy. I'm perpetually on the look out for a really effective hand cream, so I'm going to give Atrixo a look. Did you eat all your "cream cake"? once my granny brought atrix from a trip to western germany. this pot was the holy grail in our bathroom. 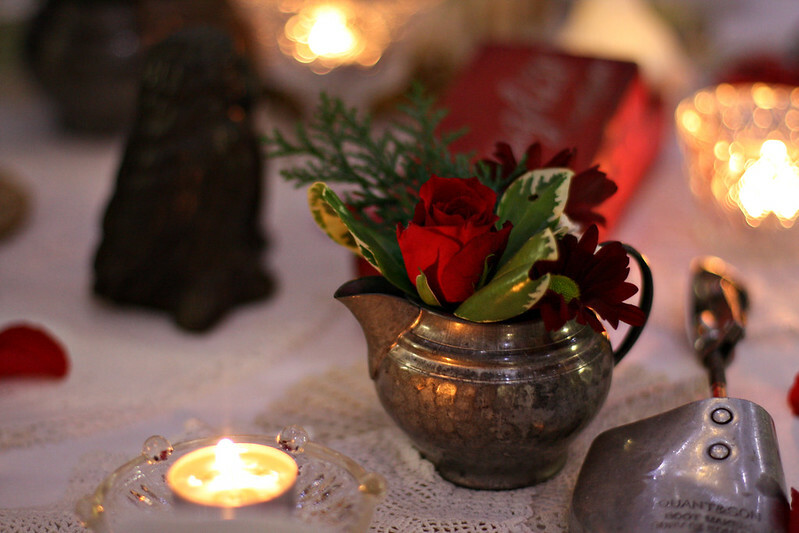 but times are changing – now i use mostly east german brands – if they still exist…. Atrixo makes me think of my mum as she has used it for years. I've used this stuff for years. Along with the now defunct…..damn them!….Linco Beer shampoo, it was always around. 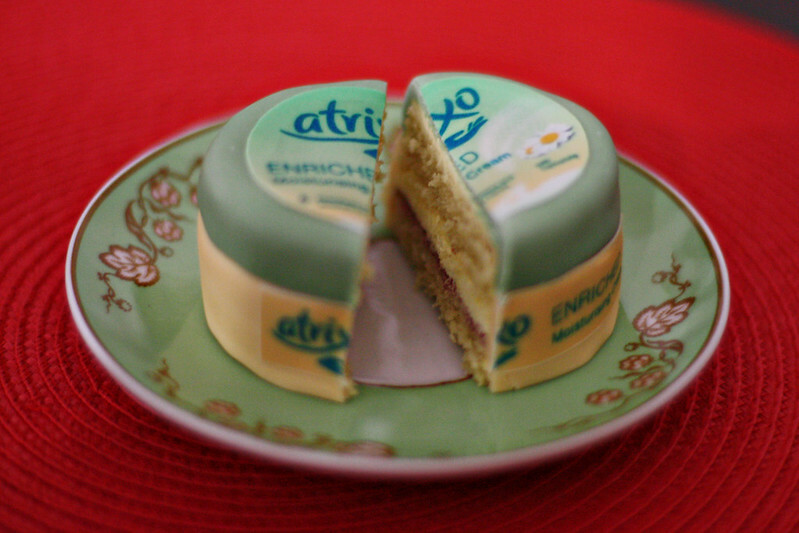 I've never tried Atrixo – it's a brand I'll always associate with my stepnan. Good luck with the knitting. It's great fun, and seriously addictive. 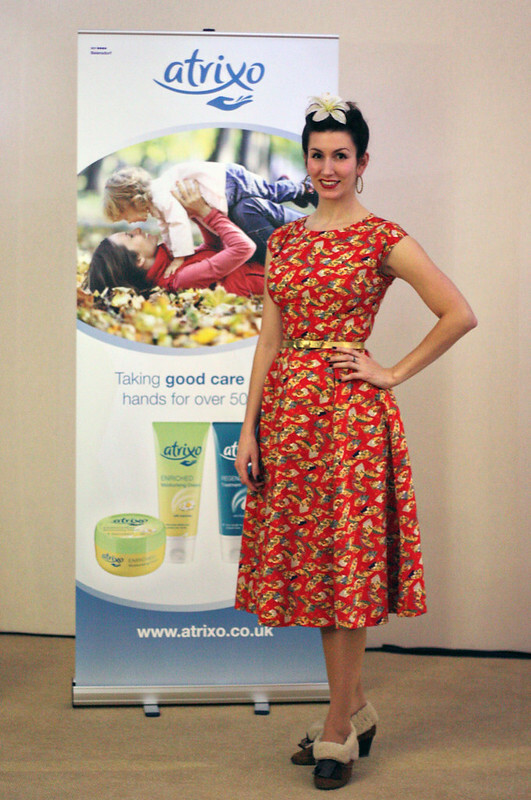 I love Atrixo hand cream! You can't get it here though. Boo. One of those great cheap brands I miss from home. Hi, this post is really great and I just enjoyed to read such stuff.Atrixo first time ever I hear about this term…..Got to know about a new thing from your post…. Oh this looks lovely!! 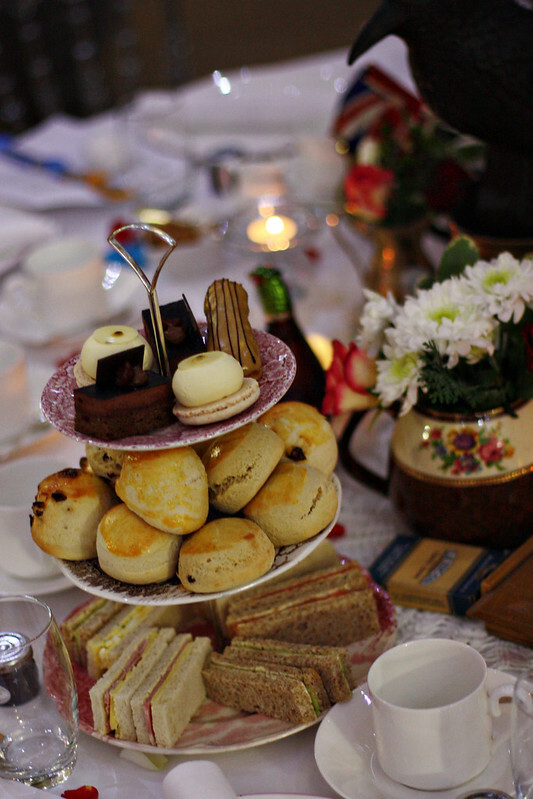 I would love to go to an event hosted by the Vintage Patisserie… hey I'd love to work with them! 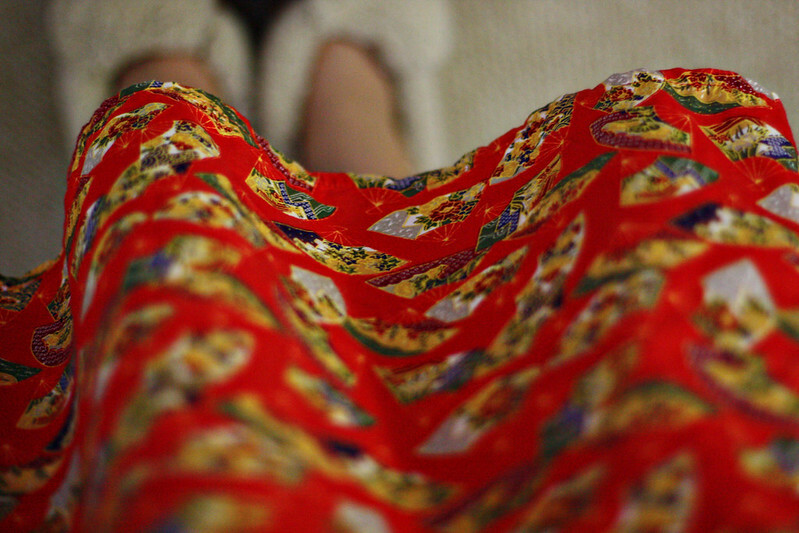 i look sometimes at your blog, i like your style, clothes,…england. i found 2012 my family in canada…the last conatkt was 1987 in london…i was 2 times in london..i love that beautiful town!! Love your blog here in the States. I ordered the Atrixo products from AmazonUK. I'll never use any other cream on my hands again. I can't say enough about these products. I'm a teacher and I wash my hands more times a day then I can count. They are usually dry, and the finger tips will split open and bleed. Two days with the Atrixo products and bye bye dry hands. 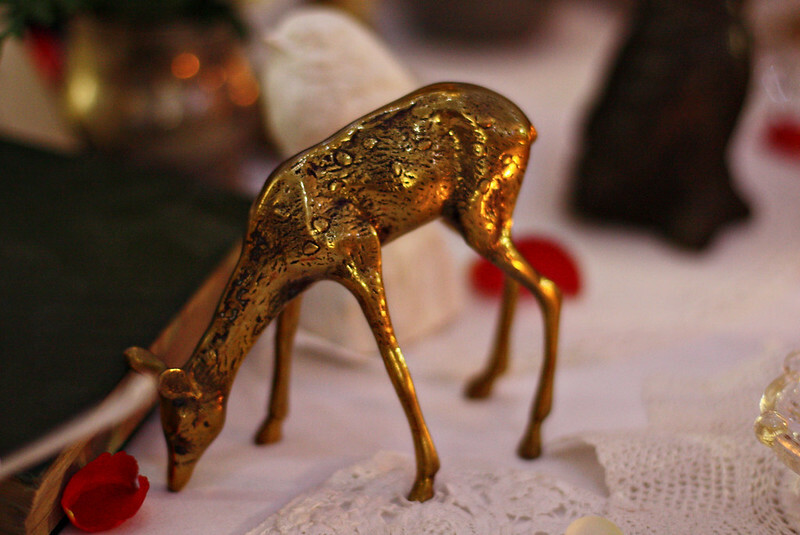 Thanks for a great find and a wonderful blog.